October 26th is a date of high hopes when anything might be possible if positive beliefs are incorporated in one's system. People born on this date are deeply emotional and their sensitivity will help them form incredible relationships for life, but also burden them with a little more than they seem ready to handle if they take the pain of other people as their own. Feelings in those born on the 26th of October are their greatest strength and their greatest weakness, as they tend to dismiss them for common sense, bury them deep, and burst with them when the time isn’t right. Their primal need is to move with the flow of their own heart, no matter how changeable and uncommon their mood swings might be. Once they set free to the waves of their waters, they become conductive of grand ideas and Divine love and get in touch with their real mission in life. Until then, confusion and their struggle to push words and feelings down their throat might mess with their relationships and their sense of satisfaction and joy in life. "A House-Raising Party in a Small Village Enlists the Neighbors’ Cooperation"
Although familiarity and closeness with their social circle come naturally, there is a sense of obligation and commitment in their choices. Aware that God, Nature and the greater order of things that knows and sees everything, they feel responsible for being a part of something bigger and determined by the Universe, by others and by the circumstantial. This may put pressure on their emotional world and push them into feelings of inadequacy for all those things they haven’t done "right" and in tune with the demands of their social circles or higher forces. They are to always remember that all the right moves are those that resonate with their feelings. When we speak of purpose in lives of those born on the 26th of October, it is found in the essence of Neptune. It won’t be possible to live the dream and move towards ideals they wish to reach in their lifetime for as long as they don’t cleanse of all toxic influences. They are to set free from habits that burden their physiology, as well as relationships that burden their emotional world with too much responsibility or take away their value in any way. They need to be recognized for their emotional nature by those they love and shouldn’t settle for less than full acceptance. 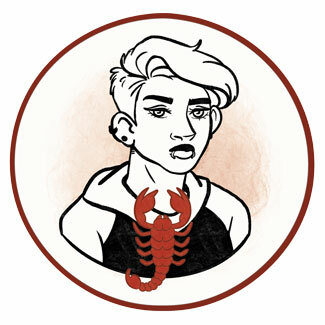 With a rich inner emotional world of Scorpios born on October 26th, confusions in close relationships come as a given. They will easily idealize their partners an be a bit unrealistic in expectations from their first relationships, this often leading to disappointment. They are giving and easy to connect to, but need to keep in mind that no negative experience is meant to push them to close their heart. What they need in general is more understanding and forgiveness for those who have done them wrong, and forgiveness for themselves for allowing this or acting in ways that make them feel guilty. With their emotions intertwining with those of others, the greatest challenge here is to set a clear emotional boundary, so it is clear and obvious what everyone carries as their authentic emotional need. Balance of giving and receiving needs to be found in each bond they create, and they will need some distance and solitude to sort things out and separate from influences that blur their image. Once they start allowing themselves to feel whatever it is they are feeling, they will cleanse and open themselves to summon the right person into their life. 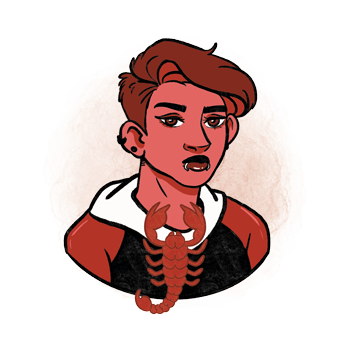 A Scorpio born on October 26th makes wonders in contact with different people, therapy, healing, and all decorative and artistic efforts. They have a way of touching hearts of others, their audience and those who need their home decorated or their party planned. Still, they often need some time to find their true talent to pursue and shouldn’t pressure themselves into difficult and too strict working routines. Carnelian is a great stone for a person born on the 26th of October, as it is highly motivating and evokes inspiration to act upon the ideal that pushes them forwards. It gives one the needed confidence to move towards a new path in life, one that will be easier, more loving, and in tune with their emotional needs. Aiding their intention to work on their physical body and cleansing the blood, it will help them set clear boundaries to all toxic influences and reach the point of balance they will stably move forwards from. To choose a gift for a birthday of a Scorpio born on October 26th, keep their sensitivity in mind no matter their act. Buy something small and artistic, something made of glass, a vase for their home, a crystal ball, or a colorful mosaic. They love creative trinkets that are colorful and pretty, and it is easy to choose their present for as long as it is decorative and of high quality. Cheap trinkets won’t really do it, not because they prefer things that are expensive, but because their present needs some depth and actual value to it. If you are limited by the amount of money you can spend, make their colorful gift yourself. Loving and deeply emotional, they are open for interaction and willing to set aside any ego troubles to make their relationships harmonic and beautiful. They are the ones to help when times get rough, and value important people in their life without compromise. Feeling guilty or inadequate, they could become envious and jealous, unable to incorporate emotional experiences into their heart and shoving them aside until they become bitter, lonely, or overly critical of everyone else. In 1942 Bob Hoskins was born, an English actor, director and singer, known for his roles in Mona Lisa, Who Framed Roger Rabbit, Snow White and the Huntsman and others. Written off as stupid due to his dyslexia, he left school at 15 and worked as a lorry driver, plumber and window cleaner, and spent half a year in Israel on a kibbutz and two years in Syria tending the camels of a Bedouin tribe. In 1951 Julian Schnabel was born, an American painter, screenwriter and director, internationally recognized for his large paintings on broken ceramic plates. After graduation from the University of Houston, he sent an application to the Independent Study Program, with two slides of his work sandwiched between two pieces of bread. He was admitted to the program. In 1956 Rita Wilson was born, an American actress, singer and producer, who appeared in movies such as Sleepless in Seattle, Now and Then, Runaway Bride and others. She donated "True Hearts" jewelry and proceeds from sales will benefit several charities. 1825 – Opening of the Erie Canal as the direct passage from Lake Erie to the Hudson River. 1963 – Funding of the Football Association. 1905 – Dissolution of Norway and Sweden is recognized by King Oscar II (born on January 21st). 1936 – Hoover Dam's first electric generator goes into operation. 1958 – The first commercial flight of the Boeing 707 from NYC to the city of Paris. 1970 – The return of Muhammad Ali (born on January 17th) into the ring after a three-year hiatus.